United Kingdom attracts some foreign students after the USA. The UK is the home of the world’s oldest universities and top schools. The United Kingdom is the best place for students who lawfully enter the country in the pursuit of gaining knowledge in their respective fields. According to the recent survey conducted by the International Recent Higher Study Forum, UK proved to be the best destination for higher education and research. The study conducted in 800 universities across the globe and the international students have expressed great satisfaction with education and the quality of approach and help from expert supervisors. The study took the opinions of over 350,000 students worldwide to give the detailed report on the impression of International Students in UK pursuing higher education. The survey revealed new facts that UK Education tops sideling the rival English speaking countries New Zealand, US, Australia and Canada. UK education topped the 47 indicators of the best education among 85 and gave the best learning experience for the students. The United Kingdom is committed to increasing education exports and enhances the measures that improve the quality of teaching. There is no limit on the number of international students; any number of students can join the UK education. 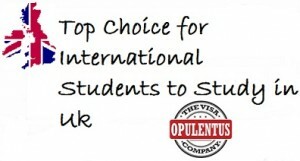 UK education has always remained top choice of international students. However, there are growing concerns about the post study opportunities among the international students. The rumors even sometimes create vulnerable atmosphere, so international students must not worry about the unofficial news. United Kingdom’s education is robust and has created intellectuals, artists and several other personalities of international image. There is a good ecosystem that facilitates students to seek higher knowledge and able to equip skills that are not available in your homeland. Right Time To Apply For UK Student Visa? Who is Eligible to Apply for UK Student Visa ?